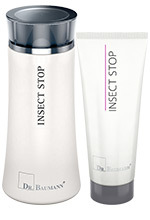 This Tonic with insect-repellent Icaridin (20%) is also effective against ticks. It contains essential oils such as lavender, citronella, clove and myrrh. In warm weather it is pleasantly refreshing. Also suitable for dogs and cats.